A two-man crew survives a mission failure, a rocket curves around the Earth and more stellar highlights from October 2018. NASA astronauts Andrew Feustel and Ricky Arnold and Russian cosmonaut Oleg Artemyev executed a fly-around of the International Space Station to take pictures of the orbiting laboratory on Oct. 4, before returning home after spending 197 days in space. 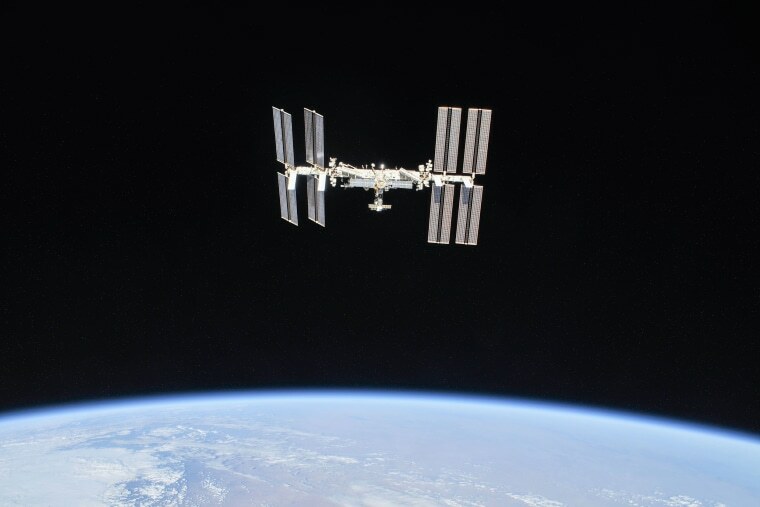 In November 2018, the space station will celebrate the 20th anniversary of the launch of the first element, the Zarya module. 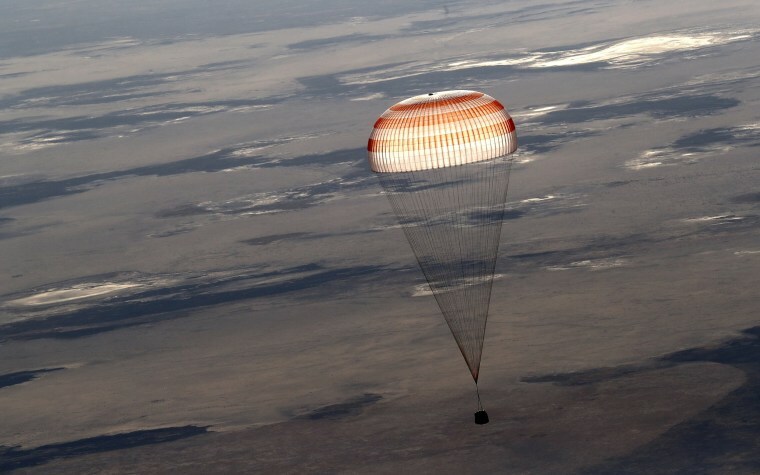 A Russian Soyuz MS-08 space capsule carrying astronauts Andrew Feustel and Ricky Arnold and cosmonaut Oleg Artemyev lands about 80 miles southeast of Dzhezkazgan, Kazakhstan, on Oct. 4. 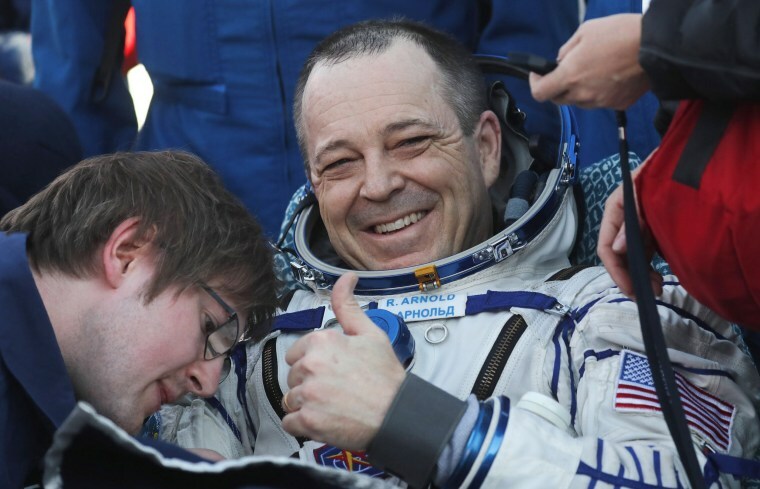 Astronaut Ricky Arnold flashes a thumbs-up after the Soyuz capsule landed. An active star-forming region, NGC 2467, is sometimes referred to as the "Skull and Crossbones Nebula," because dust, gas and bright young stars are bound into the form of a grinning skull. 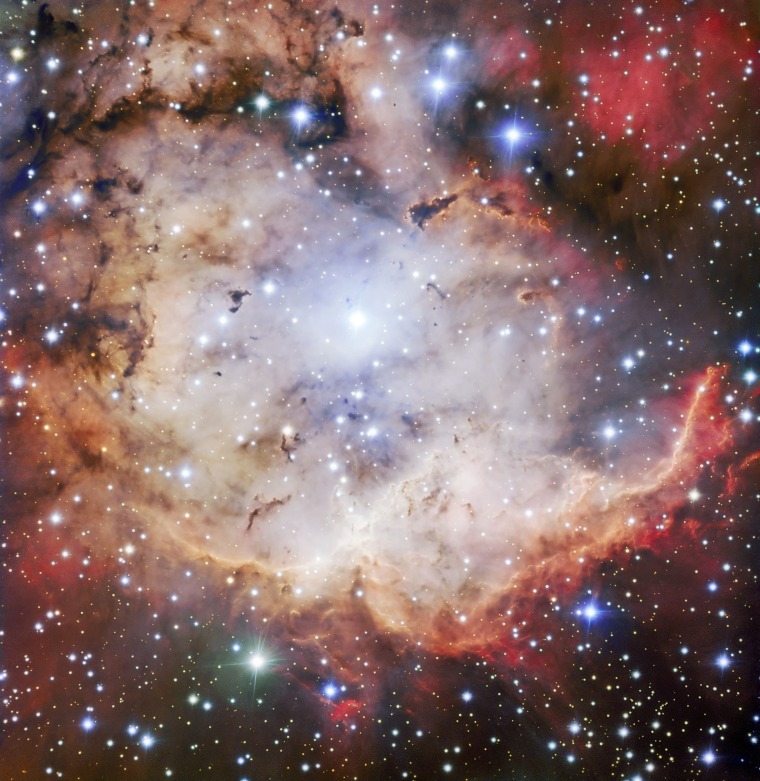 While the European Southern Observatory's telescopes are usually used to collect science data, they can also capture images such as this — which are beautiful for their own sake. 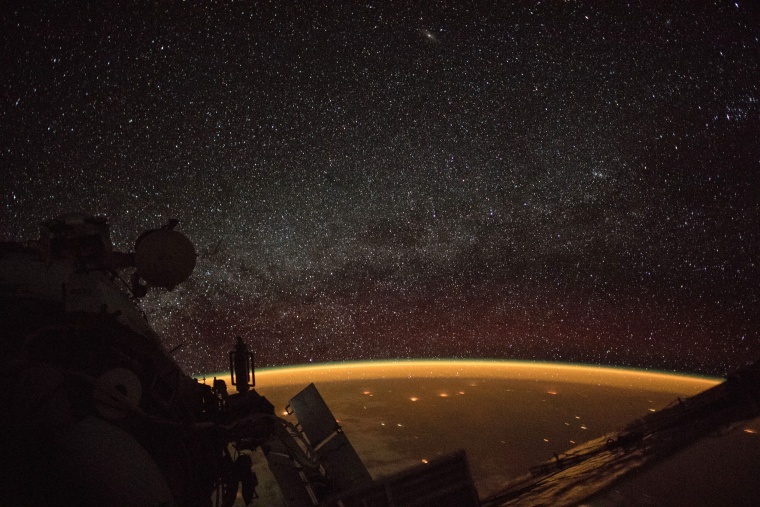 The space station was orbiting about 256 miles above South Australia on Oct. 7 when an onboard camera captured this view of Earth's atmospheric glow and the Milky Way. The northern lights, or aurora borealis, shimmer in the sky near Rovaniemi in Lapland, Finland, on Oct. 7. 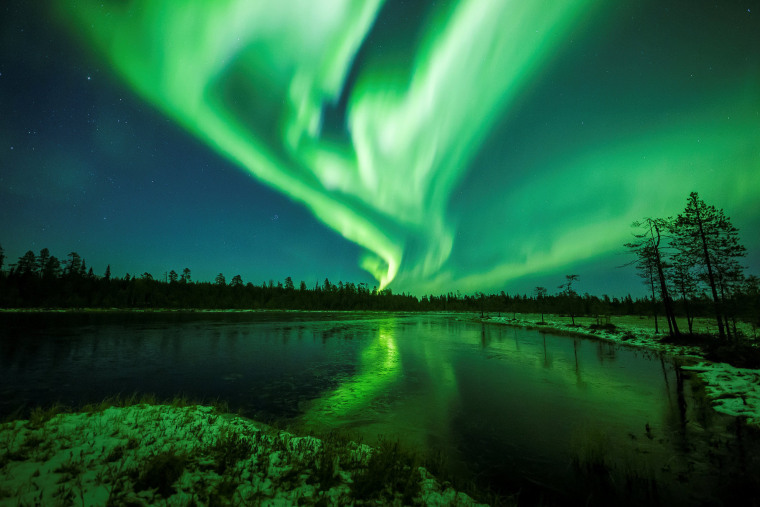 Auroras occur when electrically charged particles from the sun collide with neutral atoms in the upper atmosphere. 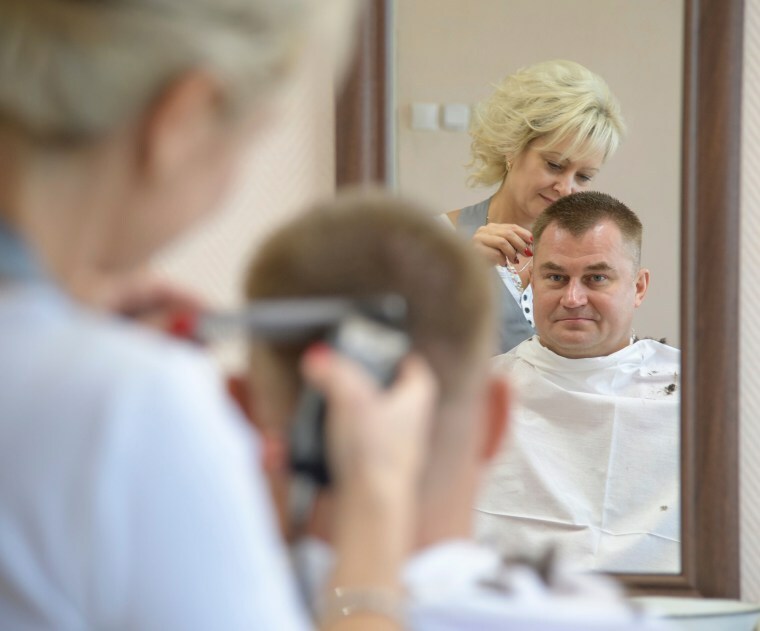 Cosmonaut Alexey Ovchinin gets his hair cut on Oct. 9 at the Cosmonaut Hotel in Baikonur, Kazakhstan, two days ahead of his scheduled launch to the space station. 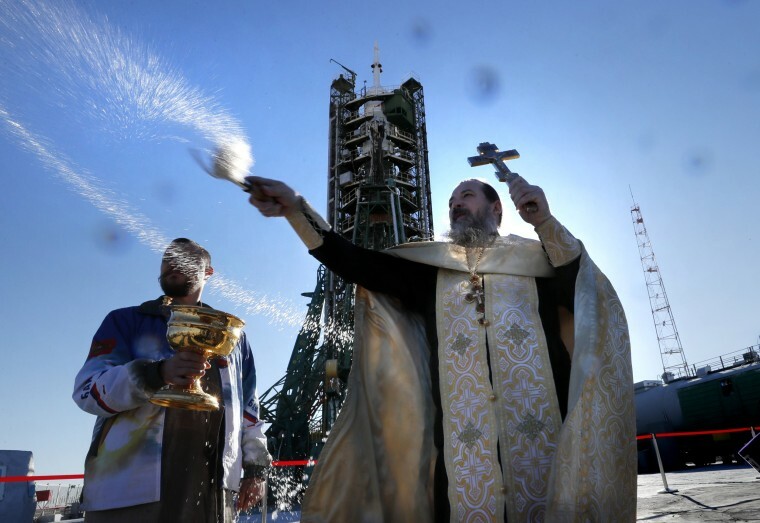 Orthodox priests conduct a blessing service in front of a Soyuz rocket on the launch pad at the Russian-leased Baikonur cosmodrome in Kazakhstan on Oct. 10, the day before a scheduled launch to the space station. NASA astronaut Nick Hague gestures to his children as he leaves to board the spacecraft at the Baikonur Cosmodrome on Oct. 11. 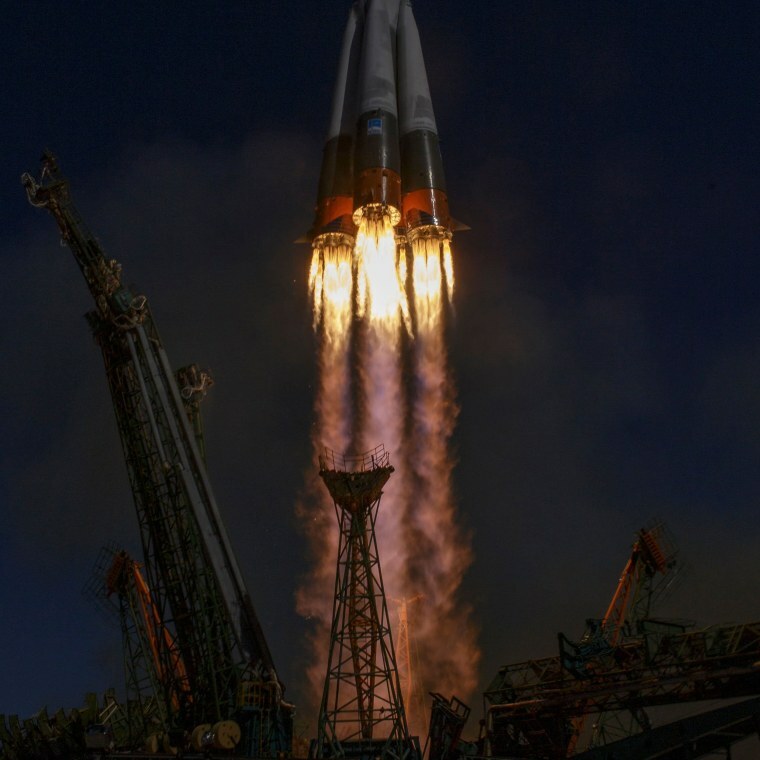 Hague and Alexey Ovchinin were scheduled to spend six months aboard the space station. The Soyuz rocket carrying Nick Hague and Alexey Ovchinin launches on Oct. 11. 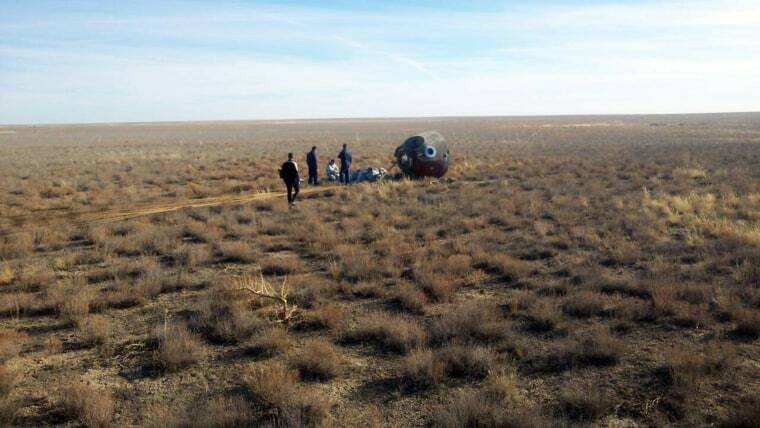 The Soyuz MS-10 space capsule touched down in a field after an emergency landing near Dzhezkazgan, about 280 miles northeast of Baikonur, Kazakhstan, on Oct. 11. The two-man crew of the Soyuz rocket made a successful emergency landing after an engine problem on liftoff. 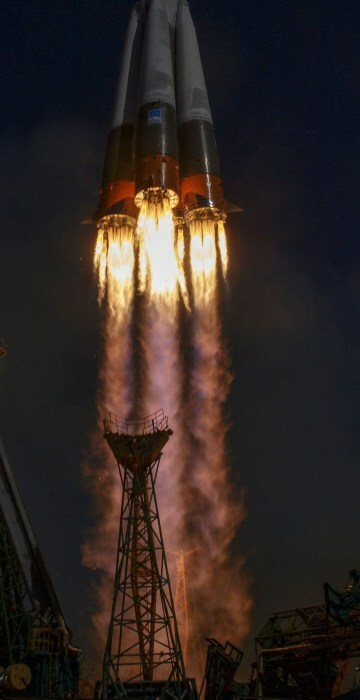 The Soyuz booster failed about two minutes after launch, a major setback for the beleaguered Russian space industry. 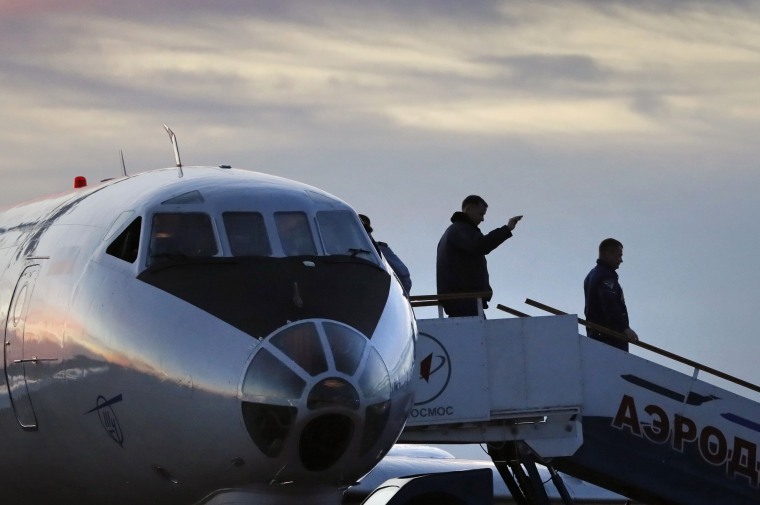 Nick Hague and Alexey Ovchinin disembark from a plane upon arrival in Baikonur, Kazakhstan, on Oct. 11. Hague and Ovchinin were rescued without injuries in Kazakhstan. 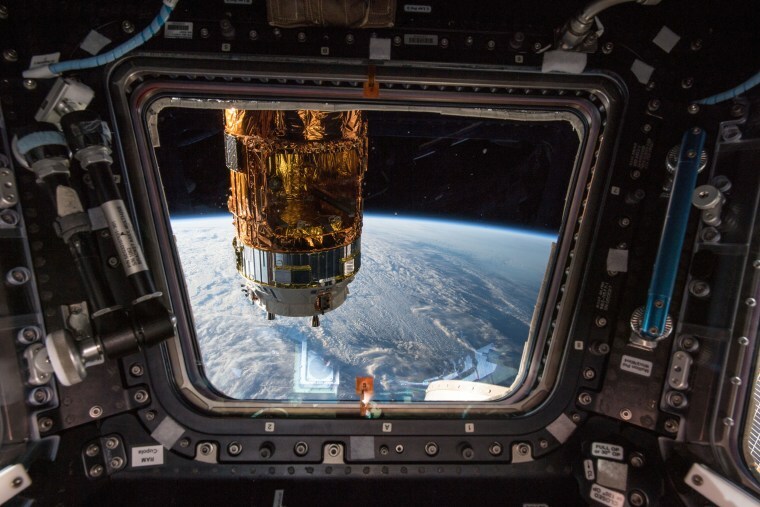 The H-II Transfer Vehicle-7 (HTV-7) from the Japan Aerospace Exploration Agency (JAXA) is viewed from one of seven windows inside the cupola, the space station's "window to the world," on Oct. 11. The orbital complex was flying at an altitude of about 257 miles off the coast of Canada, above the Gulf of St. Lawrence. The SpaceX Falcon 9 rocket curves around the Earth and into space after launching from Vandenberg Air Force Base. 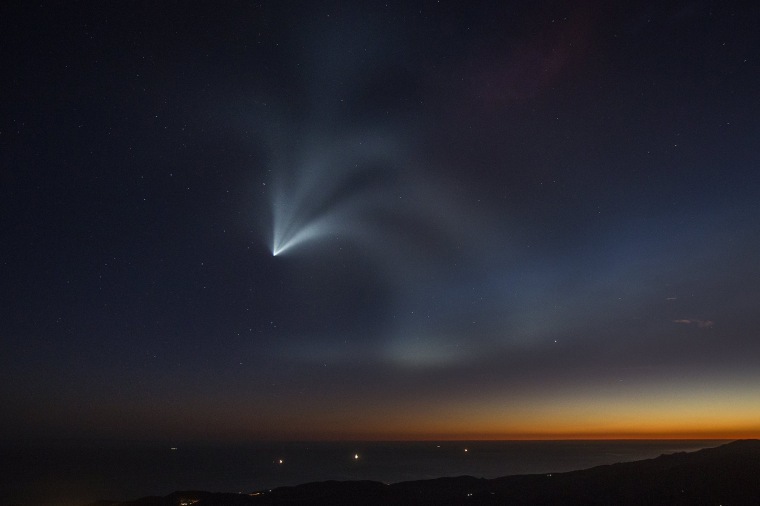 The rocket was carrying an Argentinian Earth-observation satellite into space on Oct. 7, 2018, near Santa Barbara, California. For the first time, SpaceX landed a first-stage booster back at its California launch site instead of at sea. 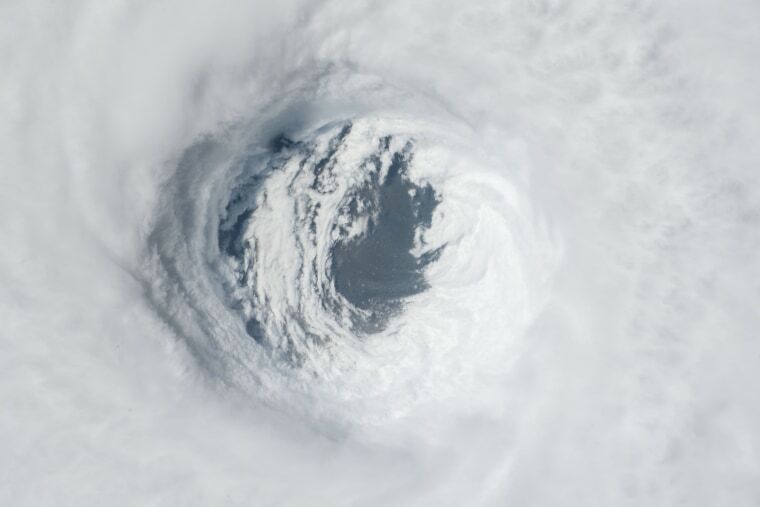 Hurricane Michael was captured from the International Space Station on Oct. 10 after it made landfall as a Category 4 storm over the Florida panhandle. Florida Gov. Rick Scott has described Michael as the most damaging hurricane to hit Florida since Andrew in 1992. 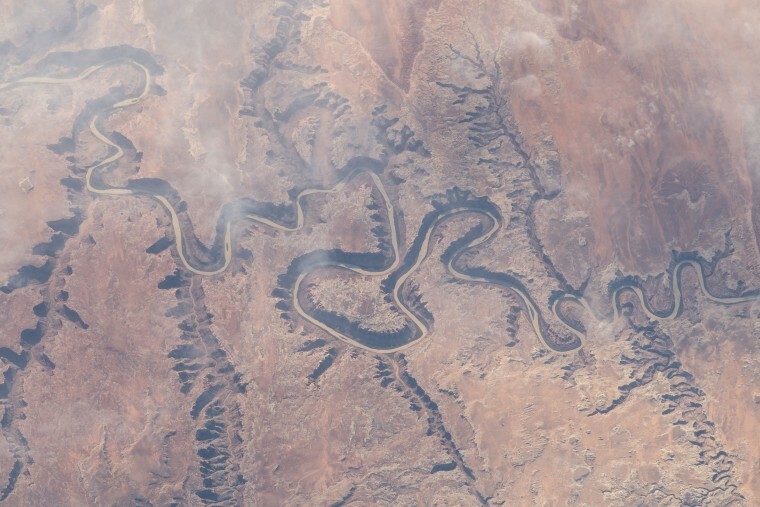 The Green River winds through the state of Utah as captured on Oct. 22 from the space station, orbiting 255 miles above Earth. 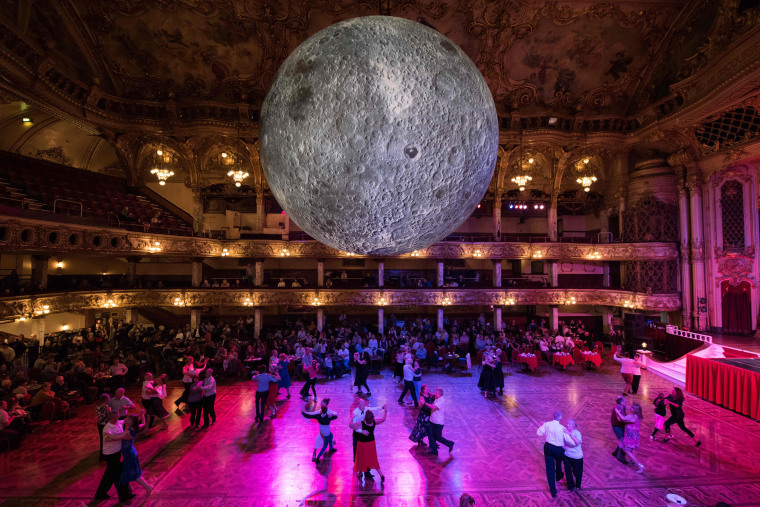 Ballroom dancers perform underneath an illuminated art installation entitled "Museum of the Moon" by artist Luke Jerram in the Blackpool Tower Ballroom in northern England on Oct. 26. The annual Lightpool Festival of visual arts features a mix of live performance and light-based art installations throughout the town.